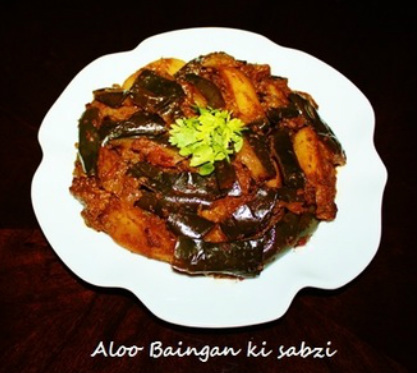 Aloo Banigan ​is an amazing combination and make a delicious flavorful side dish when they cooked together with onion, tomatoes and spices. The Aloo Baingan preparation is thick in consistency so it is easy to pack with paratha for lunch or when traveling. 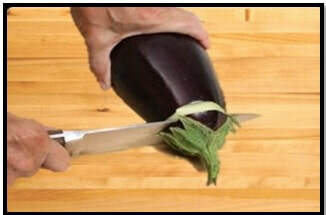 Eggplant is called Begun in Hindi which means 'be'-no,'gun'- quality/caliber (Eggplant has no quality) but this deeply purple, glossy vegetable is loaded with vitamins and mineral and it is one of the vegetables that has immense quality to make any curry taste better where it is present. 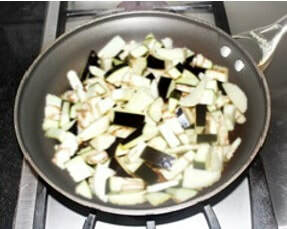 There are many delicious Eggplant dishes cooked with many combinations and many different ingredients. 1. 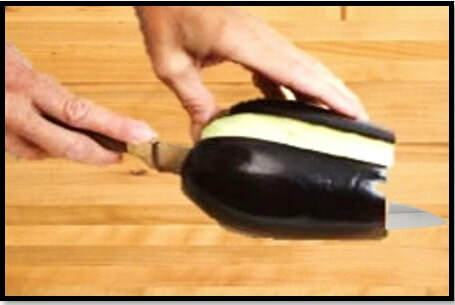 Wash the Eggplant take the top tip off and chop it into one inch wedges. 2. 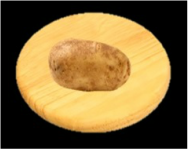 Wash and peel the potato and cut into 1”wedges. 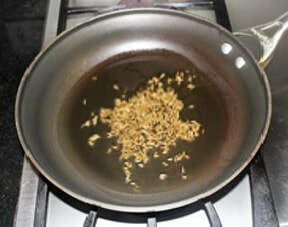 them for 2 minutes or until cumin seeds become light brown. 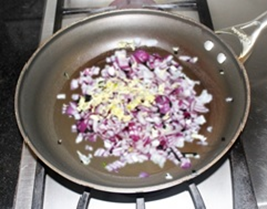 ​ heat or until onions become light brown. 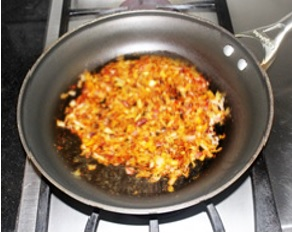 spices with fried onions and fry for few seconds. 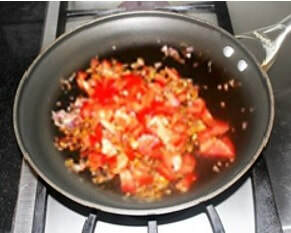 ​ mix and cook while keep stirring periodically. onion masala (onion and tomatoes mix) is done. 8 . 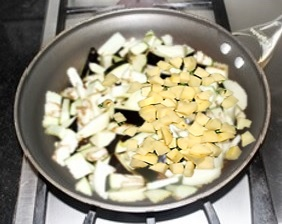 Add eggplant and potato pieces, sprinkle salt over and mix with all the spices. 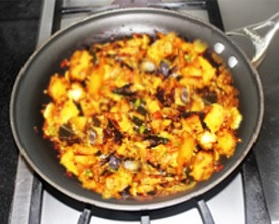 ​ and potatoes upside down so that onion masala coats the eggplant evenly. ​ quickly, then turn the heat down. 13. 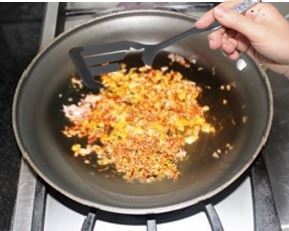 Once all the water evaporates sprinkle Mango powder and mix. Coriander leaves and turn the stove off. 1. Eggplant could be cooked without potatoes. 2. 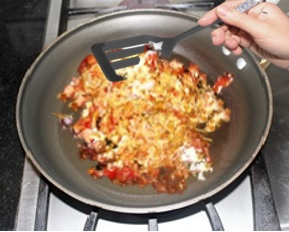 One cup of green peas could be added with the eggplant.